Hardwood vs Tile: Which Is Right for You? - 12th & Oak Floor Co. 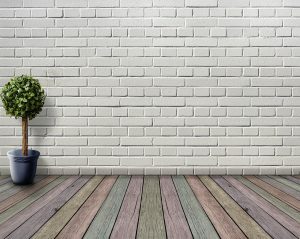 When you consider your options for hard floors (as opposed to soft floors, or carpet), the two types that you might think of first are hardwood and tile floors. Each of these has its pros and cons. Here is a guide to help you decide between tile and hardwood floors in your home. You can expect to invest a good amount of money in your home if you want to use quality materials, and your flooring will be no exception. While it’s possible to spend very little by choosing bargain carpet or laminate, you are going to pay more for tile or hardwood. The cost of wood is usually more than the cost of tile, however, so if your budget is a consideration, tile might come out to be the winner. Both tile and hardwood are fairly easy to maintain. Hardwood might have the advantage, though; you won’t be able to break it by dropping, say, a heavy pan or vase on it. Also, you will need to keep tile grout sealed or it can get discolored rather quickly. Wood can be resealed and you will need to be vigilant if you have a large dog with long nails or if you like to move furniture, because it can get scratched. If you are planning on having your new flooring installed on an upper level, tile might be too heavy. Hardwood will not be a problem. Be sure to talk to your flooring specialist about this if you are replacing the floor of an upstairs room. The good news here is that both hardwood and tile are very easy to keep clean. Sweep, vacuum, damp-mop or wet-mop; all options are possible (though you will want to use less water or liquid on hardwood floors). You won’t need to worry about either one harboring pet hair or pollen, which makes them both good choices for those with allergies. As you can see, there’s a lot to consider. If you have chosen the timeless appeal of hardwood floors, give us a call to schedule a consultation appointment so we can answer your questions and show you some samples.